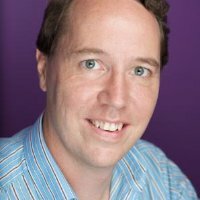 James Robertson is one of the global experts on intranet strategy and design. He is the author of Essential intranets: inspiring sites that deliver value, What every intranet team should know and Designing intranets: creating sites that work, the three best-selling intranet books in the world. He has also written over two hundred articles and a variety of best-practice resources, including the Intranet Roadmap. James is the founder and managing director of Step Two, a vendor-neutral consultancy located in Australia. In this role, he has helped high-profile organisations to develop intranet strategies, both within Australia and internationally. James has keynoted conferences around the globe, including in the UK, USA, Denmark, the Netherlands, Sweden, Norway, Singapore, Malaysia, New Zealand and Australia. As a certified trainer, he regularly runs one and two-day practical workshops on intranet strategy and design, both within Australia and internationally.